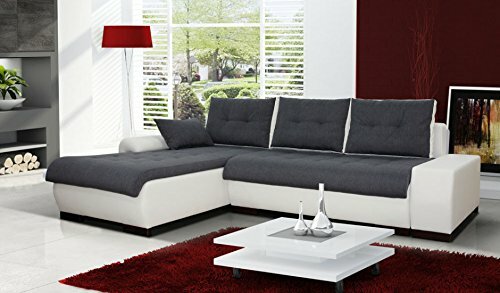 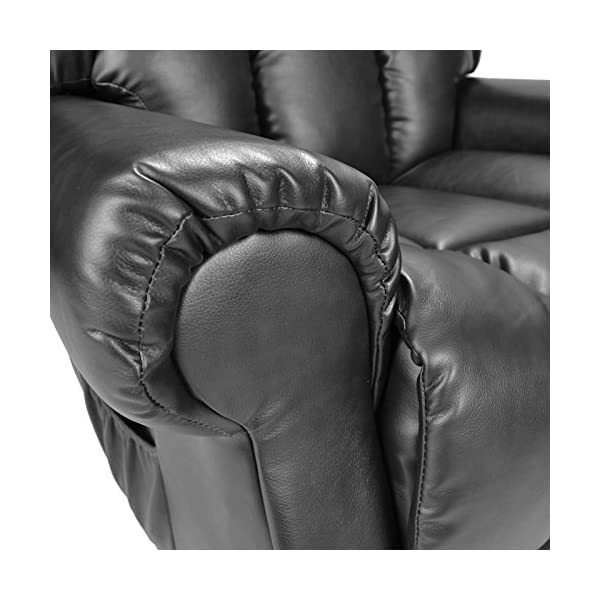 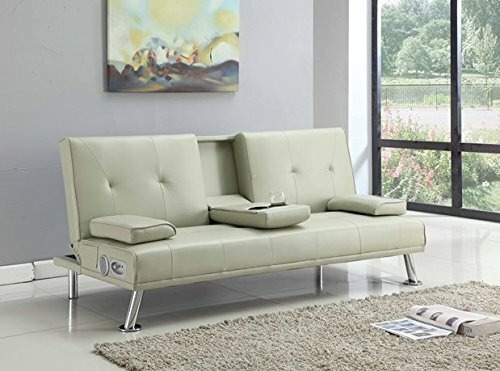 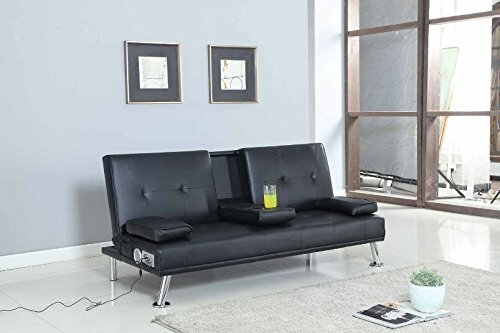 Available in Black or Brown bonded leather. 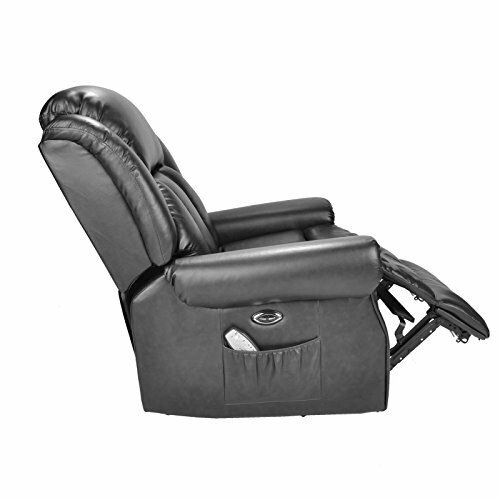 With heat and massage included as standard. 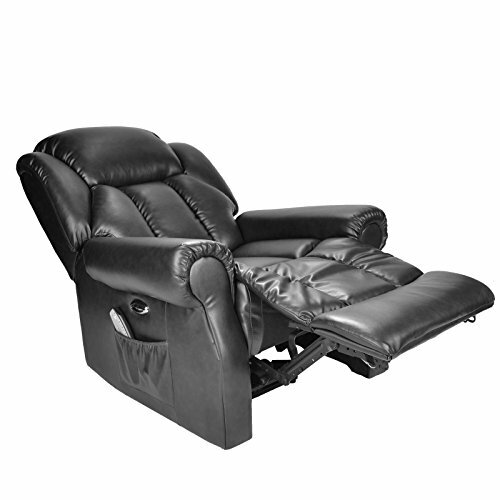 Pushing the button on the right hand side of the chair allows the back to recline and footrest to come up. 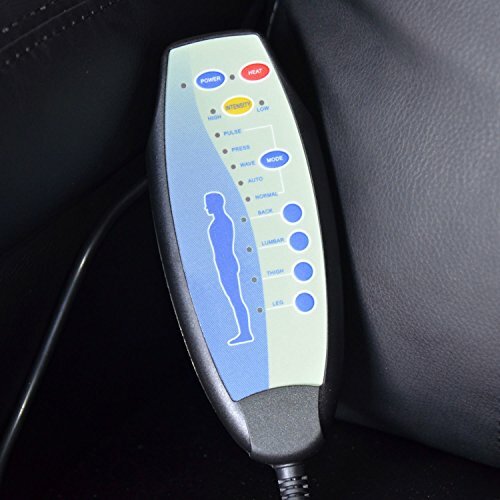 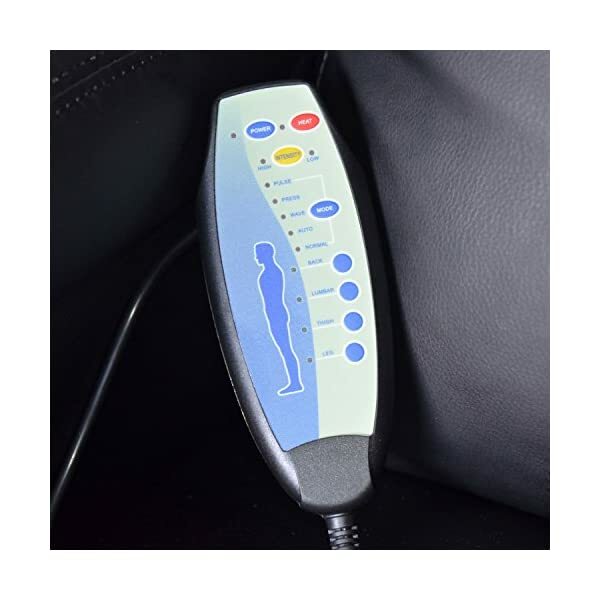 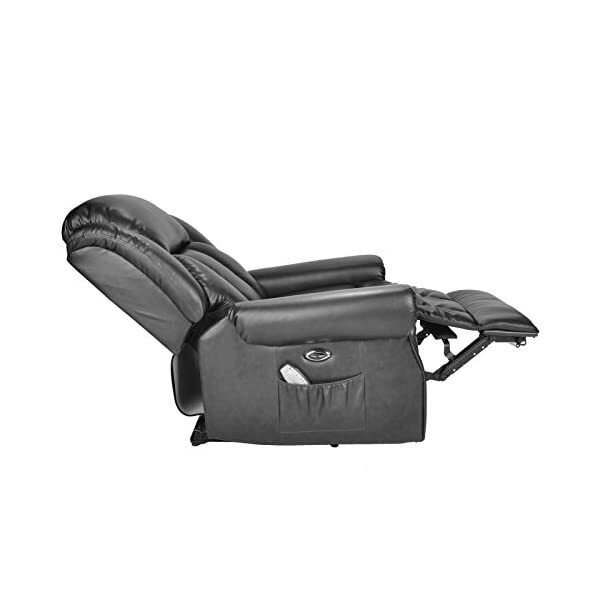 A separate handset controls the 8 point vibration massager 8 (2 on the upper back / shoulders, 2 on the lumbar, 2 on the seat, and 2 on the leg). 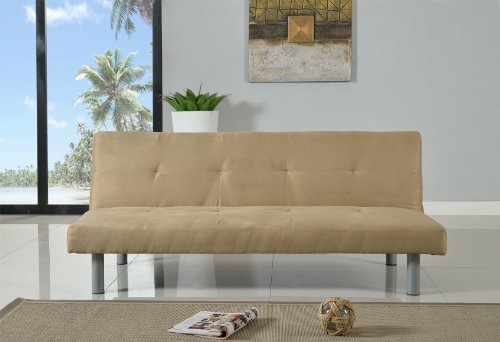 This model does not help you to stand up. 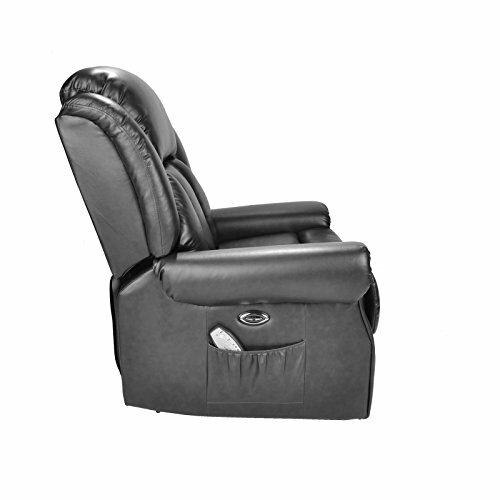 Please note the buttons to control the chairs movements are fixed to the right hand side of the chair. 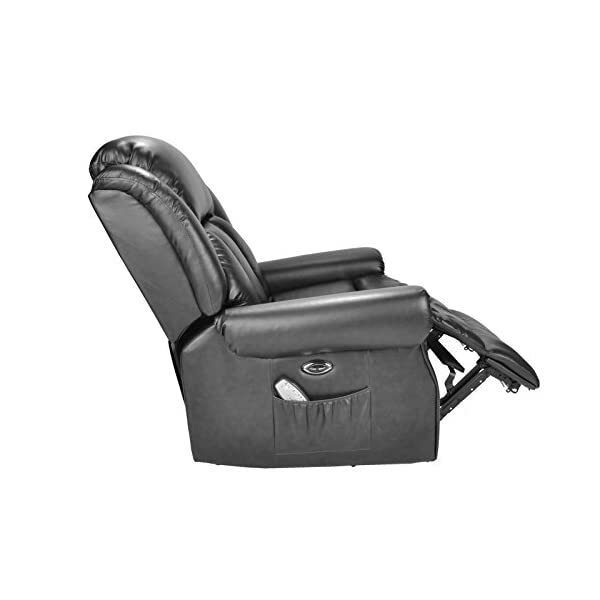 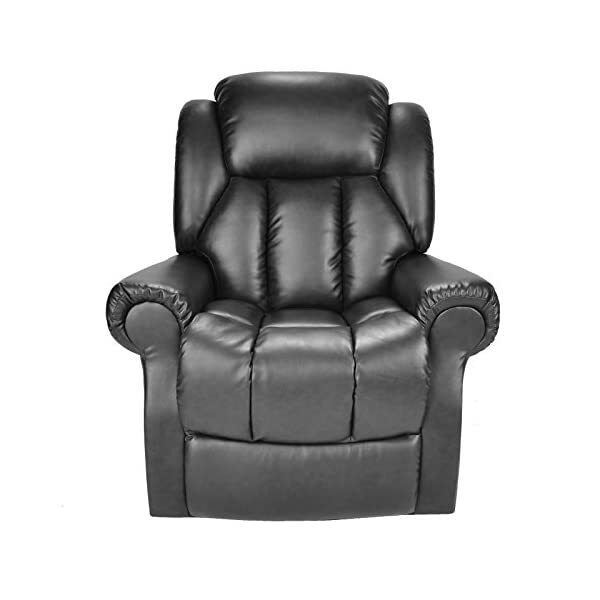 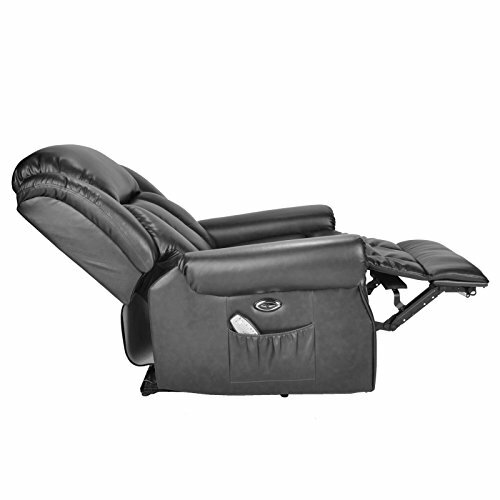 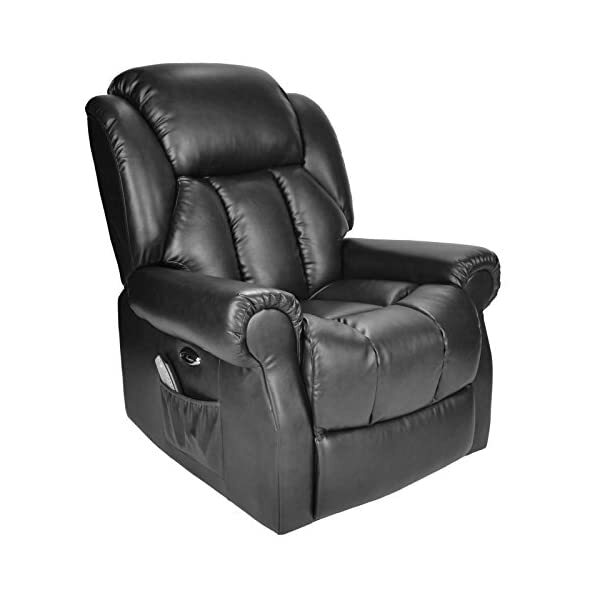 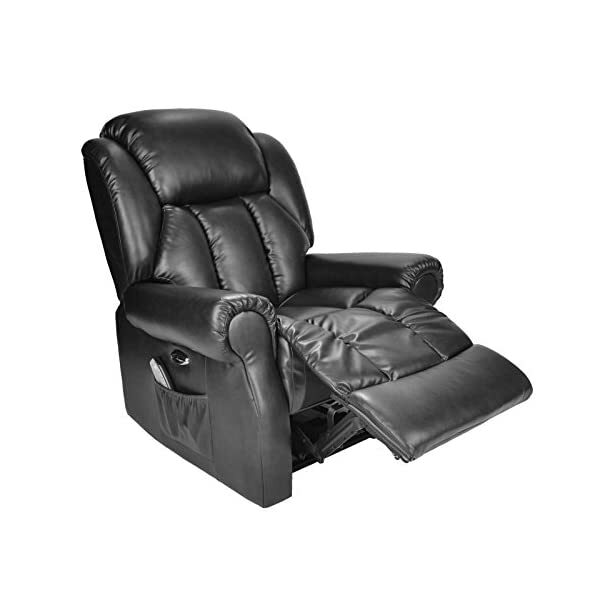 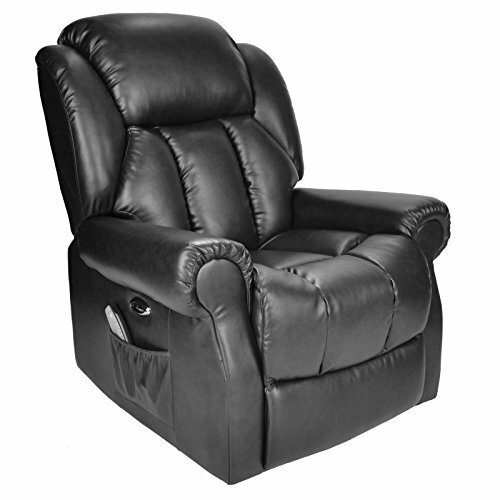 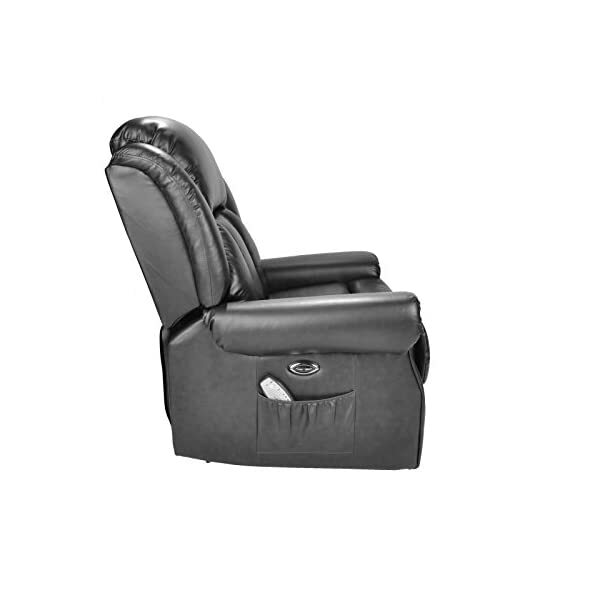 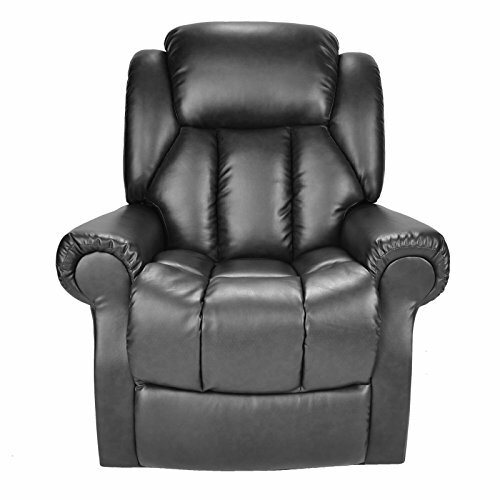 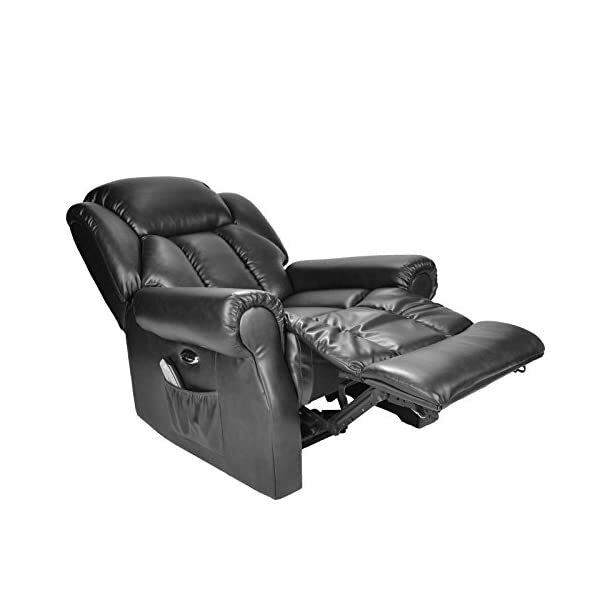 Hainworth Chair is also available in a dual motor riser recliner version. 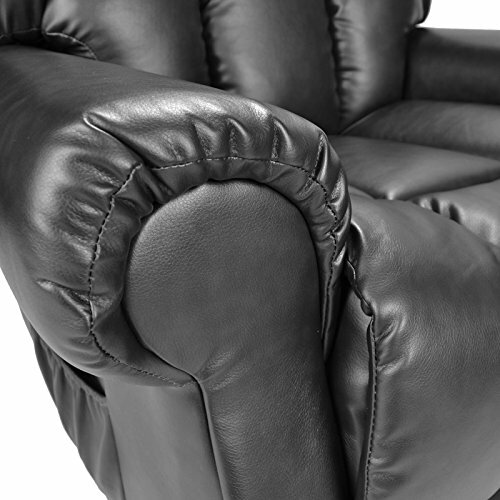 FREE MAINLAND UK COURIER DELIVERY, EXC NORTHERN IRELAND, HIGHLANDS AND ISLANDS Once we receive the order we will contact you to arrange a suitable delivery day. 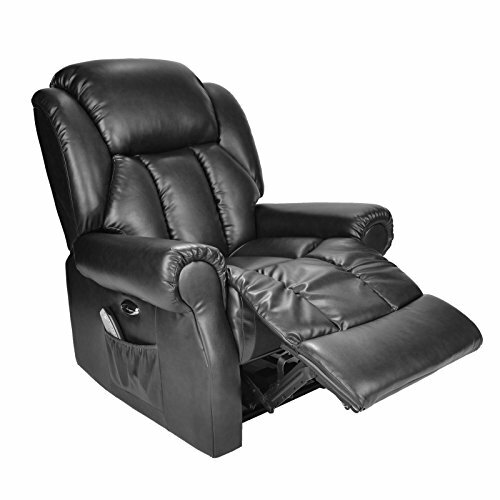 You will need someone able bodied to take the chair inside and set it up.